A week ago, I was asked to read for review by an author, he send me the synopsis of his first published book and can I just say that I was sold the moment I read it? Only by reading the synopsis, I was convinced that this book had a lot in store for me and god, were my instincts right! 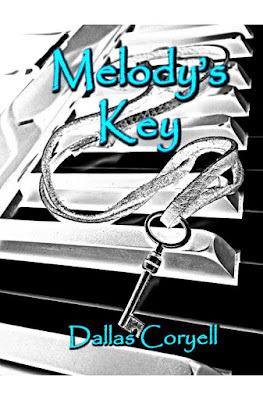 If you're looking for a very sweet romance and a book full of passion then Melody's Key by Dallas Coryell is the book you absolutely need! This book got me upside down everyone! Just truly upside down! You'd start to get depressed because your life never turned out like theirs. This book will absolutely give you feels like this and I'm totally loving it! Before I go further about the plot, I will discuss the characters starting with Tegan. Tegan, which by the way has a beautiful meaning you'll discover yourselves, is actually a pretty tough girl. She'll stand her ground when she has to and she'll do what she has to do to make sure her loved ones are okay and happy. Even if it means declining certain things that would make her dreams come true. I really appreciated that in this character because it really showed her love and affection for her family and how caring she really is. Even though Tegan shows a lot of her sarcastic and tough side, deep down she isn't that tough. Tegan has been dragging a tragic and hard event with her for a very long time now and it's really making her feel bad. 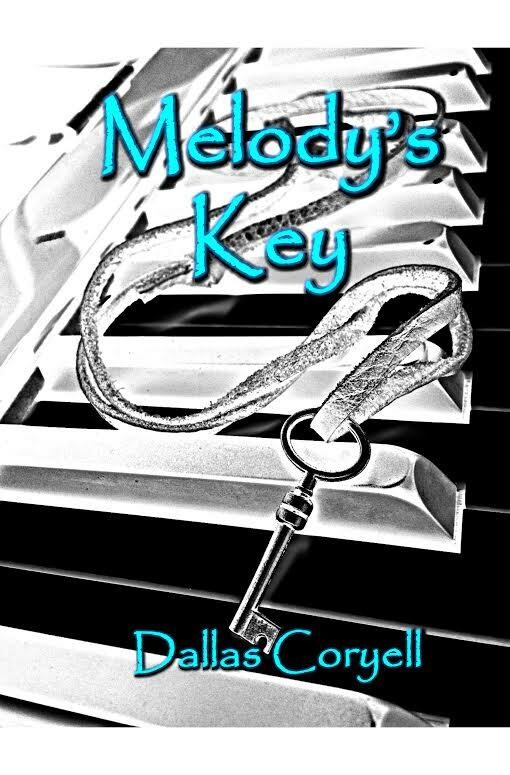 Throughout Melody's Key you'll feel how pained she is and how much she closes herself of for the world, for people. Also, because of these past events, she is determined that love is not real. Tegan's set on not letting anyone in that could hurt her and she absolutely shows her insecurities throughout the book. This really showed the realistic to this character and I was really keen on seeing that because it made sure we all could relate to her. Another thing that I discovered about Tegan was her passion. She loves to be a part of music and art and really loses herself in it. This was one of the things that really accentuated that part of her and it showed you how much she needs these things to escape from reality and just to be able to forget what has happened to her. Next up, I want to discuss her family because I was so keen on them, really each and every one of them. It's been a while since I read a book where the parents weren't the evilest of the evil. Her parents are very caring and really try to make their kids lives amazing and that makes them really amazing. Although they have a hard time with Lockwood Holiday, their business, they try to make a lot of time to have that great family bond. This creates such a happy feeling with the reader when they read about it, but more about that later in the plot! 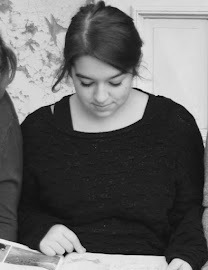 Tegan also has 3 brothers: Joe, Noah and Michael which are also amazing characters because they were really funny. We don't see that much about their personalities, which I did love to see more, but when we did see them they were always making comments about each other or trying to trick each other and this led to moments were you could really enjoy them and even laugh with them. As for Tegan's sister, she was my favorite in the Lockwood family. She and Tegan always pranked each other which showed us how good their bond really was. Yet Ryleigh has a very caring side and also a very understanding side. Throughout Melody's Key we'll see her laugh with her sister and trick her all you want, but when her sister is in trouble or doubting herself, Ryleigh will be there to catch her from falling and give her a good piece of sisterly advice. She's a very supporting character that can be very mature at times when its needed and that was something I really appreciated in her. That sums up everyone in the family and to conclude that, I'd like to underscore how much I was a fan of them. There are no words for how close they are and how amazing each and every one of them is described by Dallas Coryell. Their bond is very realistic and relatable but also has this unique side that makes you want to be a part of their family too. 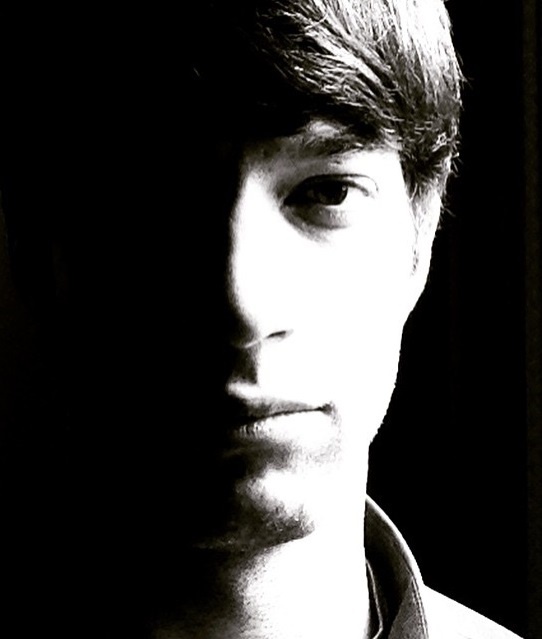 Two more characters I want to discuss, first off: Mason. Tegan hates him the first time he comes around. He's a jerk, he's mean, he seemed angry and someone who would just sleep with a different woman each and every night. Yet these are some of her, and maybe even some of the reader's, superficial judgments. The first few things we get to know about this character might lead us to think about him like that but Mason will come to surprise us more than once in this book. This character is not who you expect him to be and it was amazing how we discovered him together with Tegan and see that, even though a lot of people like him, he is just a normal person with normal problems. I loved to see this character because he did show many changes himself but also made sure that we could see other characters in the book change in a positive manner. Lastly, there is Simon. And can I just tell you guys the following: I need a Simon in my life! He's absolutely adorable and has the same side as Ryleigh: the caring and understanding, the supportive side. He's such a great person but has always been a victim of bullying which you'll find out more about in the book itself. Also this character will show major changes by make a stand even if things might not end up the way you'd want them to be. We will see him struggle with his identity and how people react on his identity but I can honestly say that he's just an amazing character! Simon has an amazing personality and I really wish he was real because I heart Simon, okay? Okay! This concludes everything about the characters. They're very well written and will take you down under in this book. 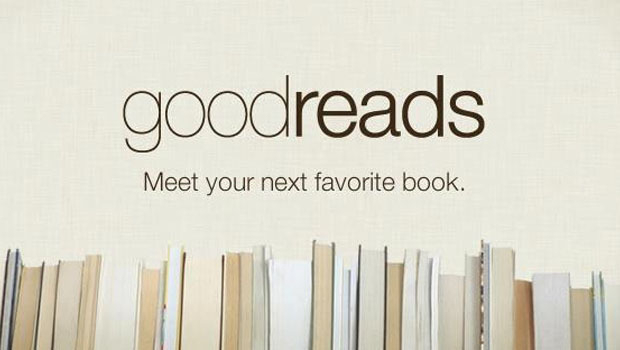 They'll create this loving and caring atmosphere and really make you feel the feels of the book! Secondly, the plot! To my opinion, it tended to build up a little slow but, we also know by now that I'm just a very impatient person and I just really wanted to know who the secret, mysterious visitor was! What I did absolutely adored in the beginning was how descriptive it was. We're surrounded by nature and you'd think there isn't much to describe about it but the author made sure you'd be able to visualize everything. From the air hanging there to the flowers that grow there and I absolutely loved it. If you're someone that wants to use your imagination to the fullest than these descriptions will make sure of it. I, myself, am a huge fan of visualizing the environment and I was absolutely not disappointing. Another thing you might enjoy then is the background about the family. There will be parts in the book where you get a little history about the family, about how they met each other, about new characters coming along and it was really nice to read. You knew the family was having a hard time but you also would go back to where the problems started which made sure you'd understand it to the fullest. The plot has a very sweet atmosphere that really takes you into the story. You'll be put in weird positions that are awkward because Tegan drooled over a boy, but you'll also experience the cozy moments. As I said before, the parents of Tegan will really try to make time to have a nice moment with the family and you'll be totally part of that. These were the moments I, as a reader, really lived up to because of the atmosphere that was created. There is, for example, Sunday Pancakes, where her dad feels like he's the king of the kitchen and just makes amazing pancakes while others drool over the food and make some jokes. Or there is the moment they decide to go to the lake and go picnicking. These were the moments that broke through the doubts and insecurities the main character, Tegan, was having and made her relaxed. Which brings me to the feels in this book because there are many! You won't only relax, you'll also laugh and feel awkward it makes you smile and you'll fall in love. 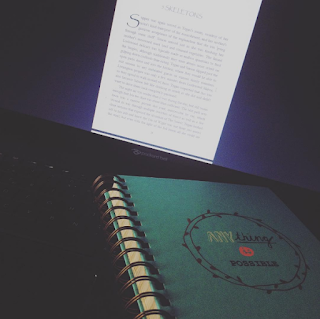 This book is filled with feels, as well as romantic ones and friendship ones. It's really amazing to read and to experience. Especially the romantic feels! We know how our main characters thinks about love, she think it's not real and her believe for it will be tested in the story. Something that was a great asset to the book were the letters Tegan reads. How she got them and why she reads them will all be answered in the book, but I loved the way they were presented! Also, it boosted the theme and gave an extra to the atmosphere the book already created. The letters have this history clinging to them together with a good portion of romance which gave a nice break from the story from time to time. Melody's Key will also focus on the development of the characters and how you can grow from being closed off to become more open to new people. To turn your bad judgement into an apology and so on. But it'll also focus on the artistic side! Tegan has a passion for music and art and these things will return to her when she grows more open towards people which is a great development to see. The author also made use of song lyrics that are also an asset to the book because you can really read them. It's not just one sentence where they say "They now make lyrics", you can really read it and see what they created. It does sound like it's all sunshine and roses but the plot will take multiple bumps in the road and cause the characters to be confronted with their insecurities and believes. Also the family's huge problem will take a very interesting turn, as well as Tegan and her ability to let people in and to believe in love. The plot really then focuses on how certain characters will react and how they solve this problem. Of course, this leads to more feels you'll experience while reading which is only a good thing. But it also accentuated how realistic the story is because life is not a smooth sail and you will be confronted with difficulties. For short, the plot focuses on a very realistic side of life and will really pull you down under in it. You'll just live next to the characters and see them live up to your expectations. If that's not enough, you'll also feel what they feel and go on a very exciting journey of falling in love, opening up to your feelings and to people, grow into your strong self no matter the past and feel passion! The characters are also unique and have such a strong bond you can't do anything else but love them and want them in real life. Sure, I might've thought the build up was a bit slow and I wanted to see some more of the brothers but I do absolutely recommend this book! It's a great conclusion to my summer holiday because it also it set in summer and really made me feel excited and all warm inside! Also a very big thank you to the author, Dallas Coryell to give me this opportunity to review this book! It was a great pleasure and I really enjoyed it! I hope you'll write more books, because this one was outstanding and a great first published book! Thanks again!